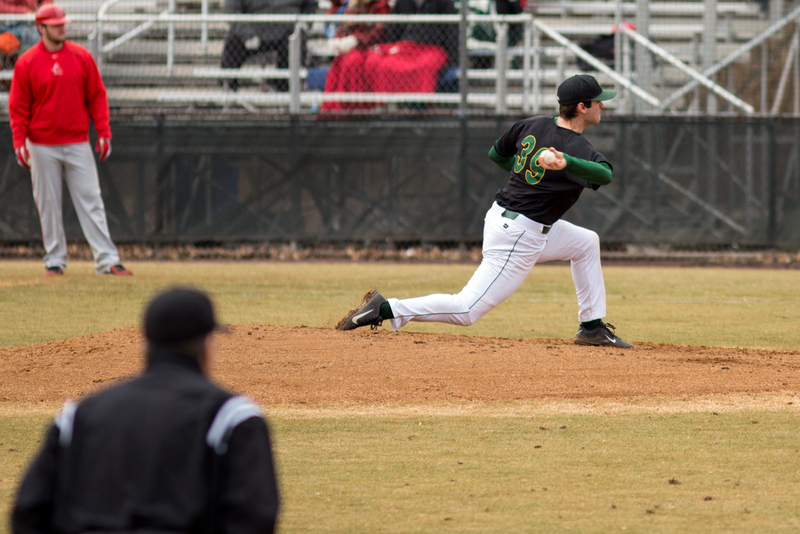 Mason defeats Hartford in Game 1 on Saturday, 1-0 (photo by Maurice Jones). Game 1 featured a classic pitcher’s duel with terrific defense. Hartford singled Montefusco, with 8 hits in the first 5 innings. In the top of the 1st, Montefusco got into a jam. SS Trey Stover led the game with a single, and 2b Aaron Wilson followed with another single of his own for the Hawks. Montefusco managed to strike out 1B Brady Sheetz swinging and got RF Ryan Lukach to ground out on an inning-ending 6-4-3 double play. The story for the Hartford offense was the same for the next six innings. The Hawks managed to get a single in each of the six innings Montefusco pitched, but Montefusco did a good job of scattering these hits with key outs. Newcomb pitched a tremendous game for the Hawks through the first five innings, completely shutting down the Mason offense. He struck out 6 with no walks through his first five innings of work. In the 6th inning, it all unraveled. With one out, SS Brandon Gum hit a single. 2B Chris Cook followed with a walk, and Leemhuis managed to draw another walk. Leemhuis finished the game 2-2 with two walks. 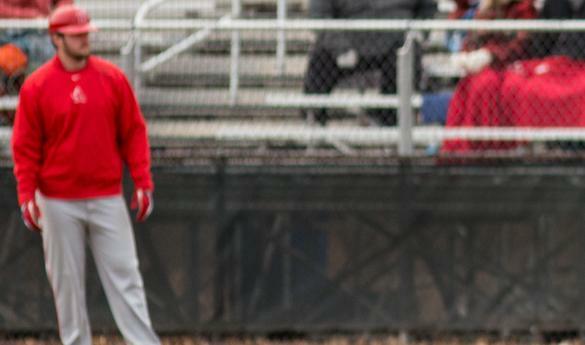 These walks caused the Hawks manager to visit the mound, but it did not do any good. Four balls later, and lf Tobin Tucker drew a bases loaded walk for the Patriots. The bases loaded walk was all the offense the Patriots would need. RHP Mark Maksimow came in for the Patriots and pitched three scoreless innings to close out the game. Motefusco got the win. He pitched six scoreless innings, scattering 8 singles and struck out 5. He walked none. He moved to 3-0 on the season. Newcomb was dealt the loss, his first of the season. His final line was 5.2 innings of one run ball, with six strikeouts, two hits and three walks (all of them coming in the 6th). RHP Alex Guinn came in relief of Newcomb, and pitched the final 3.2 innings in scoreless relief. With the win, the Patriots moved to 7-2 on the season and Hartford dropped to 0-4.